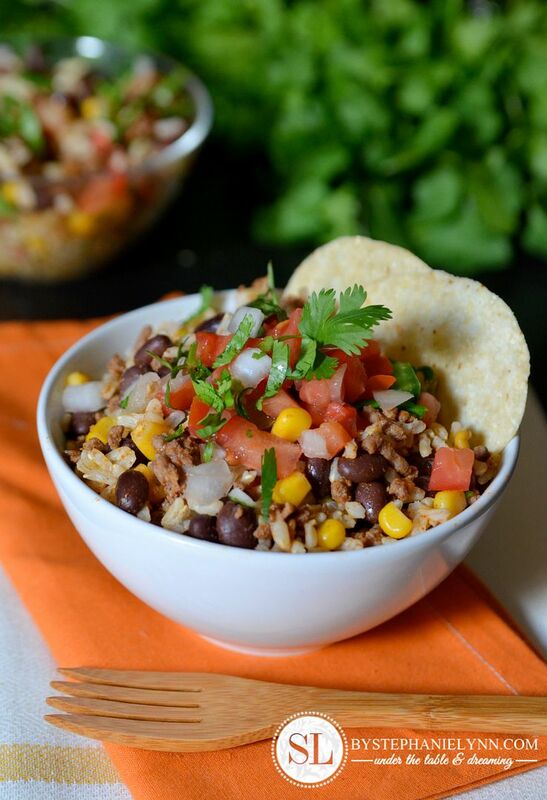 Tex Mex Rice Bowl Recipe | This shop is part of a social shopper marketing insight campaign with Pollinate Media Group™ and Cooking Light, but all my opinions are my own. #pmedia #BTSatSafeway http://cmp.ly/3/8vNxcO. Fall is upon us and soon enough the back to school rush will be underway. Whether you have children in school or not, this time of year it seems as if we are all looking for ways to simplify our time spent back in the kitchen and ease the stress of weekday meal planning. Things are a little different around here with our little guys food restrictions, as we don’t really put a big focus on main meals or sit down dinners. That being said, creating a healthy snack environment is pretty important to me and it’s all about stocking our fridge with options that are already prepared, wholesome, and ready to eat. While everyone has their own ideas of snacking, in our home I like to prepare what we call mini meals in place of pre-packaged snacks and processed foods. I look for simple one dish recipes that can be made ahead of time and are easy to reheat. Once prepared, I just separate the dish into individual snack sized portions and store it right in the fridge or freezer. 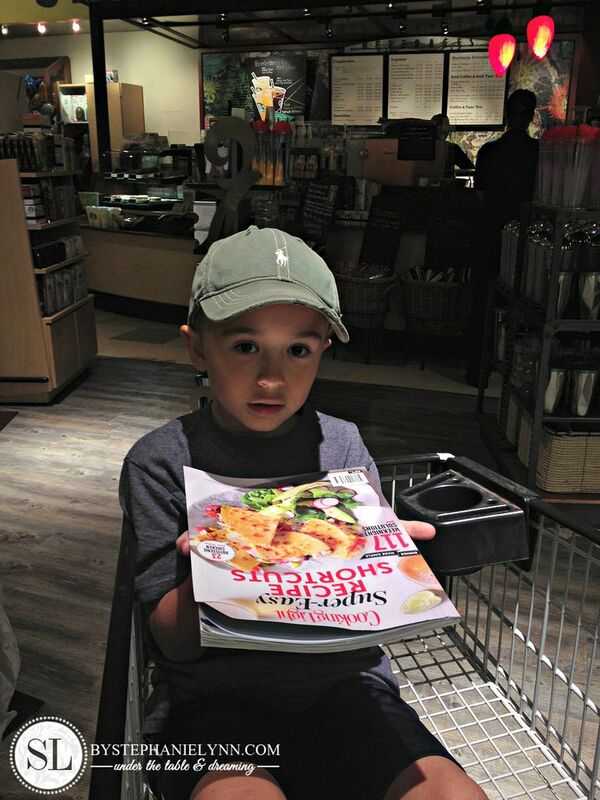 If you follow along on Instagram, you already got a peek of our Safeway Shopping trip this past weekend. Along with that fabulous mint julep cup I found in the floral department, I picked up a copy of Cooking Light Super-Easy Recipe Shortcuts. The magazine is filled with tips, tricks and recipes that start with a base of fresh, seasonal, ingredients – and then pairs them with convenient time-cutting products that let you skip a cooking step or two. While waiting for our in-store Starbucks order, I flipped through the magazine and stumbled upon the Tex Mex Rice Bowl recipe. It looked like the perfect candidate for a mini meal snack – which just happened to sound pretty tasty as well -considering how incredibly easy the recipe seemed to be. The recipe calls for just four main ingredients – as well as three freshly chopped toppings that are added right before the dish is served. This is a very quick one dish recipe that could not be any easier. Plus I love the idea that the toppings can be customized to each persons liking. Heat rice according to directions. I like to pre-make my rice in a rice cooker - though pre-packed, pre-cooked rice can also be used for this recipe. Heat a large skillet over medium-high heat. Add beef; cook until done, stirring to a crumble. 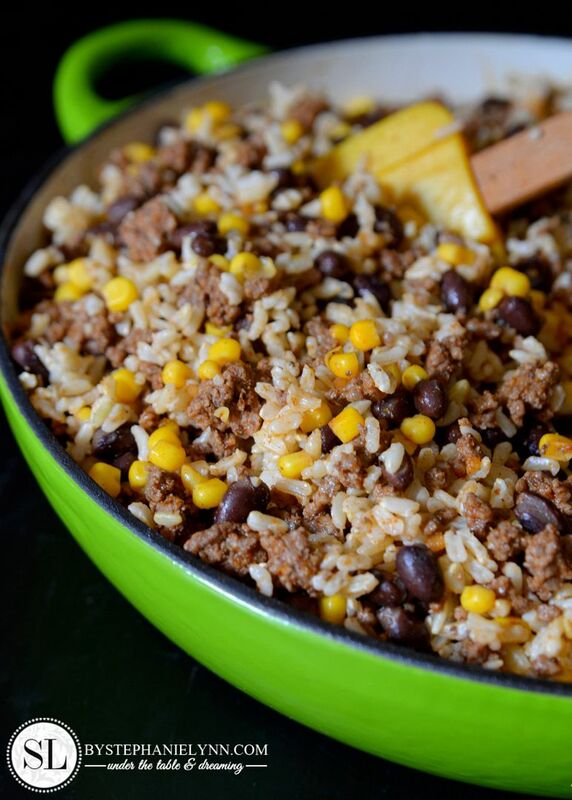 Stir in the water and taco seasoning and bring to a simmer. 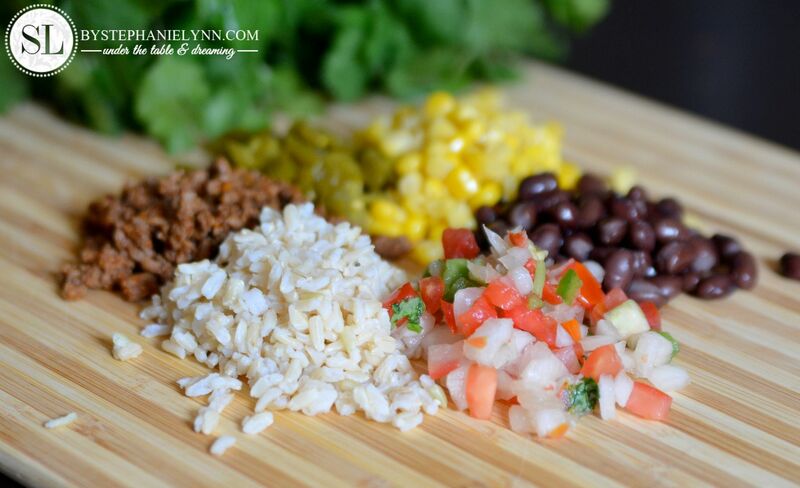 Stir in the corn and beans; cook 1 minute or until heated - then add the prepared rice. Top with pico de gallo, jalapeño and sprinkle with cilantro. 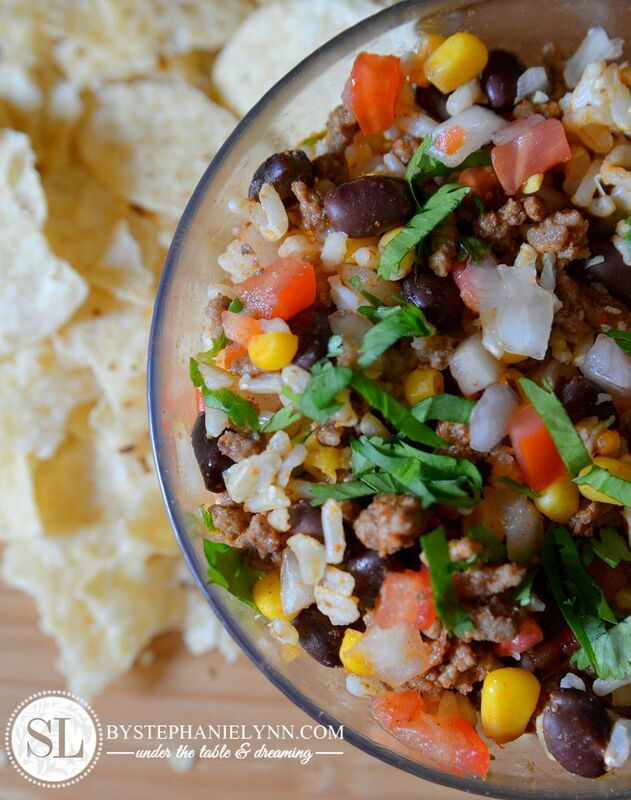 Additional toppings like sour cream and shredded cheese can be added as well. 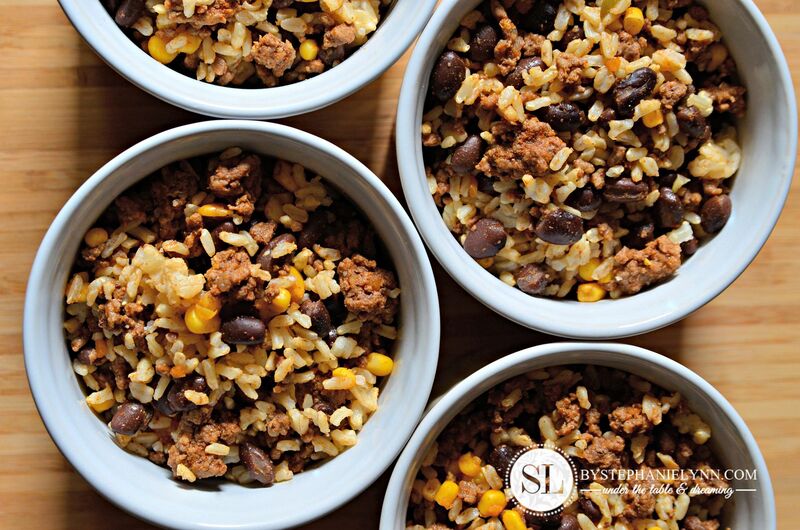 This recipe can be served immediately or stored in sealed containers in the freezer or fridge. As mentioned above, I like to portion the dish into individual serving sizes – which are super easy to reheat. For this recipe, I just add two tablespoons of water to the dish, lay the lid on top (not sealed) and reheat in the microwave. The combination of the added water and lid creates some steam which reheats the rice perfectly. that can also serve as a filling, wholesome snack. 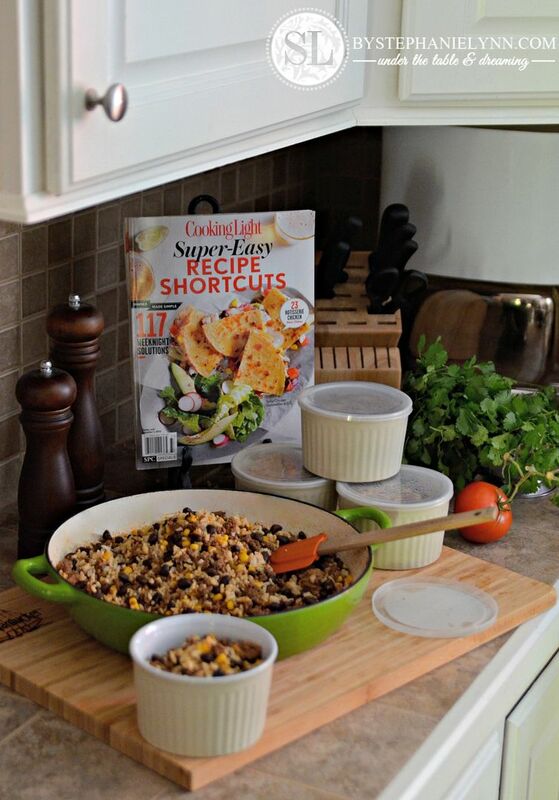 If you would like to checkout a copy of the Cooking Light Super Easy Recipe Shortcuts for yourself, there is a $3.00 coupon available in the Safeway just for U portal until August 30th. Sounds really delicious and so easy. I like the way you could add or take away what each person wanted. Will definitely try this. That looks delicious. I love cooking light. This looks easy and super fun for dinner. This was absolutely delicious…. we had it for dinner tonight, and it was GREAT!! Definitely a keeper… thank you so much for sharing…..